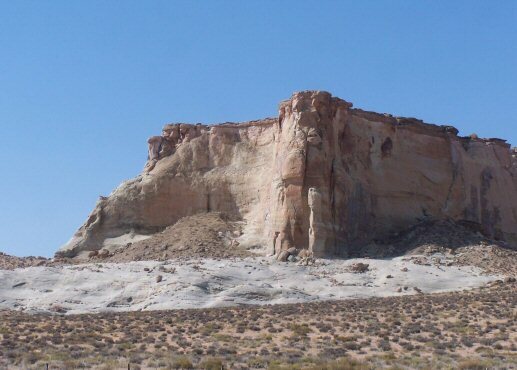 This is one of the first National Monuments to be supervised by the Bureau of Land Management. This Monument is a dramatic, multi-hued landscape that is rich in natural and human history. The Monument represents a unique combination of archaeological, historical, paleontological, geological, and biological resources. 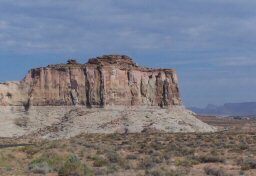 There are three distinct regions of the Monument: the Grand Staircase, the Kaiparowits Plateau, and the Canyons of the Escalante. The Grand Staircase is so named for a series of great geological steps that ascend northward across the southwest part of the Monument. 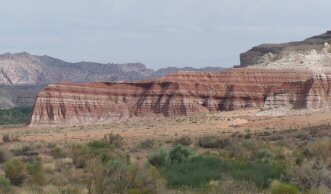 The Chocolate, Vermilion, White, Gray, and Pink Cliffs span five different life zones, from Sonoran desert to coniferous forests. It's a wonderful example of geological and biological diversity. The Kaiparowits Plateau, in the middle of the Monument, is a vast wedge-shaped block of mesas and deeply incised canyons that tower above the surrounding canyonlands. This isolated and rugged plateau is a refuge for rare plants, wildlife, and a few adventure-ready individuals equipped to handle true solitude and demanding wild country. "Kaiparowits" is a Paiute name meaning "Big Mountain's Little Brother." Many sites from prehistoric cultures have been recorded on the Plaueau, and many more remain to be studied. 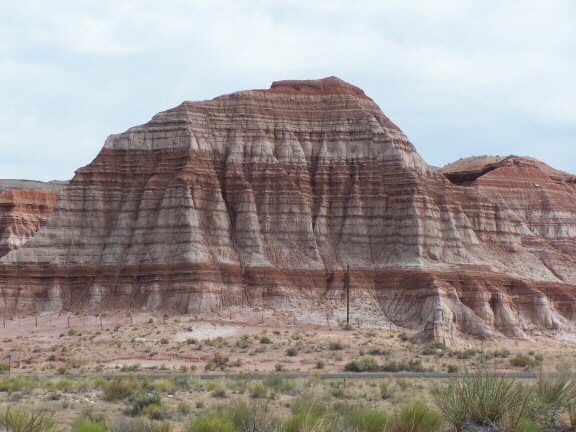 The Canyon of the Escalante is the northeast part of the Monument. Spanish explorer and priest Father Silvestre Velez de Escalante explored this area in the 1500's, and even though he never even saw the river, the Powell expedition of 1872 gave his name to the river they discovered. The Escalante River cascades off the southern flank of the Aquarius Plateau, winding through a 1,000-mile maze of interconnected canyons. Very few paved roads. The BLM is dedicated to keeping this land much the same way as it was when proclaimed a National Monument in 1996, so they have no plans to upgrade any of the few roads that cross the land. Highway 89 to the south, and Highway 12 to the north, are practically the only paved roads close to these 1.9 million acres; the rest of the roads, few that they are, are sometimes graded, usually unpaved, and very likely impassable in wet weather. If you're driving into the Monument, a four-wheel drive vehicle is highly recommended. Bring plenty of water, gas, and food; a first-aid kit wouldn't hurt. The only towns of significance are the towns that surround the Monument; there's not much but solitude inside. The BLM wishes to preserve this vast tract of open land, a signature element of the West. Protection of these areas also helps preserve the natural biodiversity and cultural history of the region. That's why there are no plans to put in more roads; that's why there are five visitors centers scattered around the periphery of the Monument, every single one of them in a town outside Monument borders. I visited the Kanab visitors center, and it's a nice new building with a focus on geology and archaeology. There also is a new visitors center at Big Water, on Highway 89 close to Page, Arizona, where the ranger on duty was drowsy the July day we dropped by. My family was the second carload of visitors he'd seen in four hours. Yikes. Cannonville also has a new visitors center; Escalante's new center is under construction and is slated to open in 2005. Boulder just has an information desk, at the Anasazi State Park Visitor Center. The BLM's National Monuments are not listed in the NPS's Passport that I love, which I think is a snippity way to behave, but I did get a good stamp at the Kanab Visitors Center. It was a circular stamp, just like the NPS stamps, and even the correct color. Come on, National Park Service, the BLM is extending a hand ... why can't we all just get along? To put is simply, at Grand Staircase-Escalante, you need to make your own fun. It's undeveloped wilderness, so if solitude and a craving to live on your own is what you seek, look no further. A note about the number of visitors: I get visitation numbers (for 2002, 2003, etc.) from the National Park Service website. So far, I've been unable to find any record of the number of visitors to BLM-run Monuments. But I'm still looking! The Monument is huge -- where do you want to go? 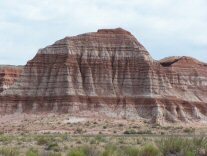 It can be accessed from Highway 89, traveling either from Kanab, Utah or Page, Arizona. It can be accessed from Highway 12 that runs from Panguitch to Torrey, near Capitol Reef NP. 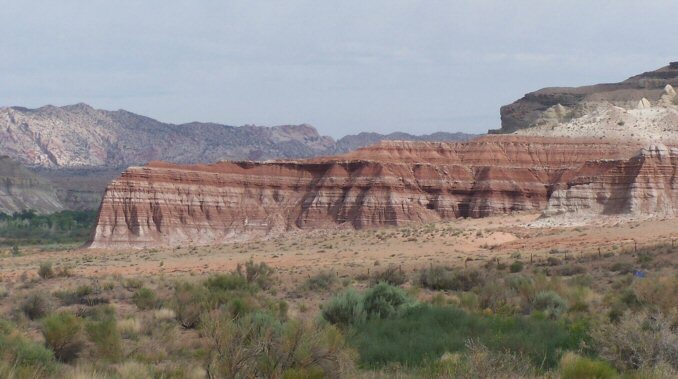 Southern Utah is chock-full of things to see! To the west is Zion NP, and just north of that is Cedar Breaks NM. On the northwest flank of Grand Staircase-Escalante is Bryce Canyon NP, and on the northeast flank is Capitol Reef NP. East and south is Glen Canyon NRA and Rainbow Bridge NM. Directly south is Vermilion Cliffs NM, and south of that, of course is the Grand Canyon NP. To the south and west is Pipe Spring NM. Visited June and July, 2004.